Except that's not what I was doing. I waawasving a conversation. The untitled Jurassic World sequel will open on June 22, 2018 and star Chris Pratt and Bryce Dallas Howard. Personally, I’ve only seen Bayona’s 2007 film The Orphanage, which was quite good. His next movie, A Monster Calls, opens later this year, and judging by the trailer, it looks incredible to the point where hiring him to helm the sequel to one of the highest-grossing films of all-time seems like a no-brainer. 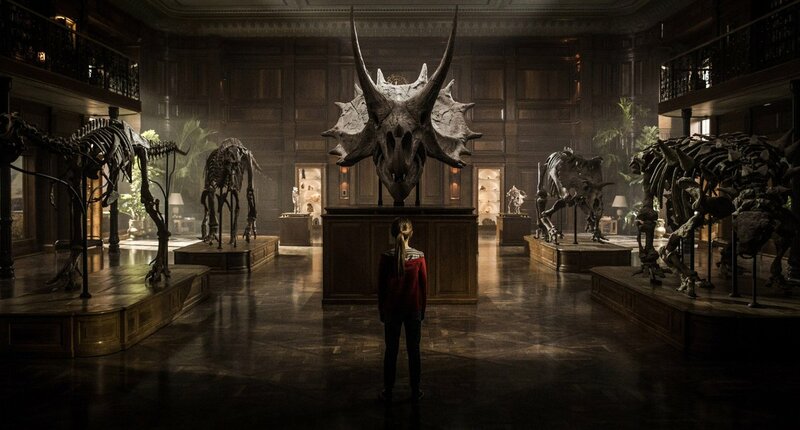 While it’s unlikely that Jurassic World 2 will outperform the original at the box office (a fact that has to do with sequels rather than anything specific to the Jurassic franchise), this is still a huge get for Bayona, and while I was a bit disappointed with Jurassic World, I’m excited to see what he does with the material (Trevorrow and Derek Connolly are writing the script, which does give me some pause). That's cool that they got a horror director. It'll be nice to see if the sequel will be more tense, along the lines of the bunker scenes from the first film. Might be an interesting change of pace. 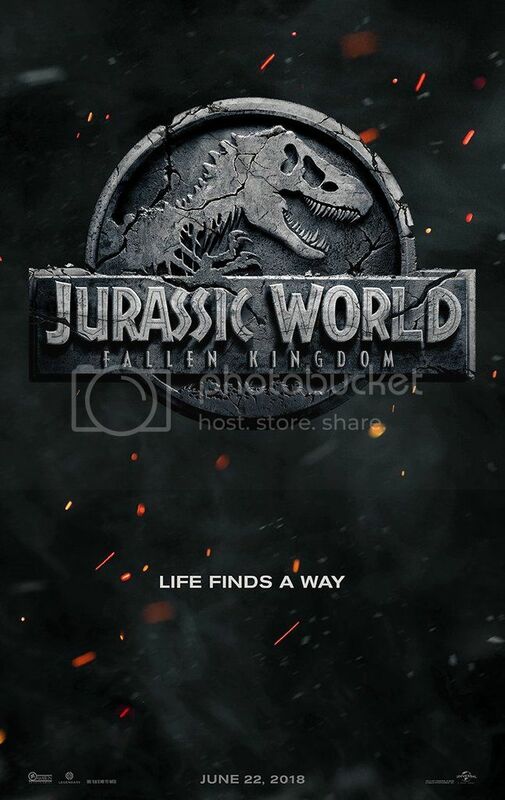 Maybe going along with the implications from World, maybe the new movie will be called Jurassic War, and all the dinos will be used in military ops, and there will be a lot of creepy tunnel scenes or something. Yeah, it sounds ridiculous, but Jurassic World was ridiculous, too, and I enjoyed that, so...yeah. We shall see. The primary part of production will take place in London, likely at Pinewood Studios – though it seems other locales will be used as well. Speaking to Wired Magazine Colin Trevorrow stated “[It will not be] just a bunch of dinosaurs chasing people on an island, that’ll get old real fast. […] What if there are 15 different entities around the world who can make a dinosaur?” With that in mind, it seems safe to assume the Hawaii shoot will be more abbreviated than usual, with the majority of the film taking place elsewhere. Be sure to stay tuned. The news keeps pouring in, and as we learn more, we’ll share more! If you have news you want us to report, be sure to let us know! Otherwise, sound off in the comments below and let us know what you think about the return of Hawaii! That is one big pile of money. Looks like I'll wait for the DVD. You never know, it could be pretty good. I'm sure it will be enjoyable. It's just that some things exist to always get bigger, better, more outrageous. Zubin Mehta, Boeing airliners...and Jurassic Park movies. This one doesn't look bigger. In fact, I saw nothing new except the volcano. I'm kind of torn. I mean, I'm a BIG fan of Chris Pratt but at this point I've kinda lost a lot of enthusiasm for this film... and a lack of enthusiasm for a movie makes it that much harder for said movie to pry money from my wallet. These days it's just getting more and more difficult for me to go see something in theaters that I can't get really all that excited about. Give me Star Wars, give me Avengers(or most any MCU film) and those kind of films fall squarely in the ball park where the audiences in my head are shouting "hell yeah!!!". dinos still rule it seems. That's pretty damn amazing. I mean I don't know if I'd go see it again, but I might see the third one if Chris Pratt and Bryce Dallas Howard come back. i want the next one to be a buddy cop movie between rexy and blue. The reviews I've seen for this have been pretty bad. I don't know if I'll even bother watching it once it out on DVD. At this point in the series I don't see myself caring about any movie that doesn't finally give us militarized dinosaurs. Seriously, jut make a Jurassic World: Dino Riders movie already!